The Student Ministry at CBC exists to disciple Christian Teenagers into a deeper relationship and walk with Christ. 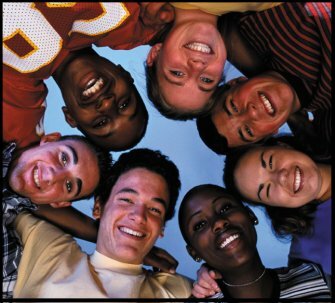 The focus is to help Teens grow in three areas Upward, Inward and Outward. Our student’s purpose is to evangelize the lost, dynamically worship God, live a moral life, proclaim God’s Word as truth, and bring glory to God in all aspects of life. We walk by faith, seeking out, and offering the message of salvation to the lost. The Children’s Ministry here at Clarendon Baptist Church strives to introduce each child to Jesus Christ and help them grow in their faith. We focus on their Upward, Inward, and Outward growth. We want them to learn who God, Develop Christ-like Character, and to Share Jesus. 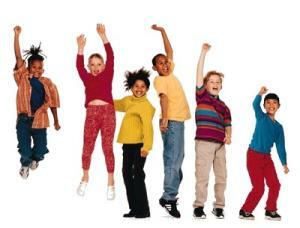 Every strong church must have an active children’s program where the children are taught to love Christ. This builds the very foundation of how they will live the rest of their life. We want our children to be followers of Christ! 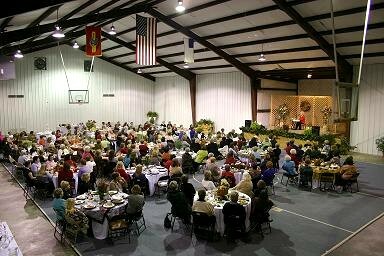 The ladies of Clarendon Baptist are a warm and caring group of women that are eager to serve God. They are devoted to ministering to others in the world and in the Kingdom of God. In all they do, they strive to follow God’s leading and bring glory to His name through fervent prayer, encouraging acts of kindness, and daily spiritual growth. It is their desire to worship God and make Him known at church, in Bible study groups, in the community, and in their homes. The Men’s Ministry at CBC strives to serve and worship God. 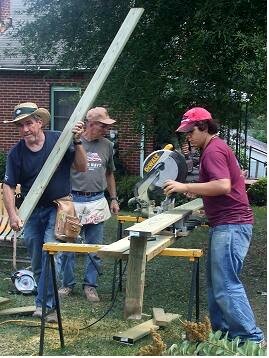 Through service projects around the church and in the community the men of Clarendon Baptist share the love of Christ in a practical way. It is our desire that men would rise up and do the work that God has called them to do. Men must teach God’s Word to their family, provide and protect their families, and spend time with God daily in Scripture and in prayer so that God’s purpose can be lived out in the lives of our men. The AWANA program here at Clarendon Baptist exists to teach children the Word of God that they would be saved through a personal relationship with Christ and follow Him the rest of their lives. AWANA meets every Wednesday night at 6:30pm in the Family Life Center. Click HERE to surf the official AWANA website. The music ministry at Clarendon Baptist seeks to engage God’s people with authentic worship…the very thing God made His people to do. Contemporary worship is lead by our Praise Team musicians and vocalists, while our Choir leads worship through a balanced blend of contemporary and traditional worship songs and hymns.